I remember to have seen images from this model while ago, which was presented at BrickFair '11 and BrickCon '11. 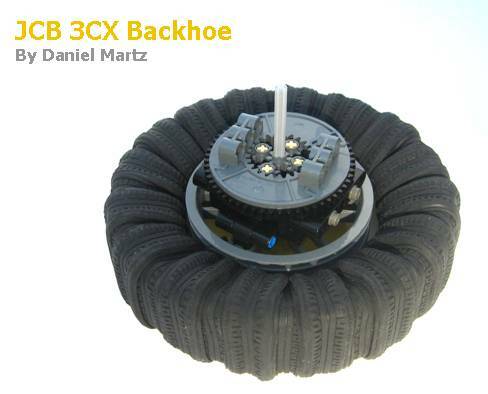 After a few modifications, it was only this weekend that its author (Daniel Martz) published the respective video at YouTube and made a presentation post at EuroBricks. It comprises an amazing set of functions and active elements for its size. Probably one of the most innovative ideas introduced within this model, it was the way to build really large wheels, which are not available from the LEGO assortment of elements. You may find a lot more pictures from Daniel's Brickshelf folder and Flickr photostream. This guy has also been creating some other great models! Some to be featured here in future posts, most certainly. This model won the "Best Technic" Award at Brickcon 2011. I was there, and the JCB is very impressive! This Backhoe is really impressive. Not a surprise ot has won the Best Technic Award. Too bad the video has been deleted. It looks like the author has replaced the video with a new version. I've meanwhile also updated the embedded code at the post, to the new video. I'm humbled to see my project posted here. Thanks! Sorry about removing the video. I'm new to the whole YouTube thing, and I had some issues with some people not being able to view the video. I thought I replaced the video fast enough not to affect anything, but you all are quick! New video is up and should work fine for everyone. Huge thanks to Crowkillers for giving me some of the new style 16t gears. I broke 3 or 4 of the old style gears at BrickFair, but I can say for sure that the new style gears are much stronger. They have held up great! Thanks Paul! I am very new to these things having caught the bug from my 9 year old son. 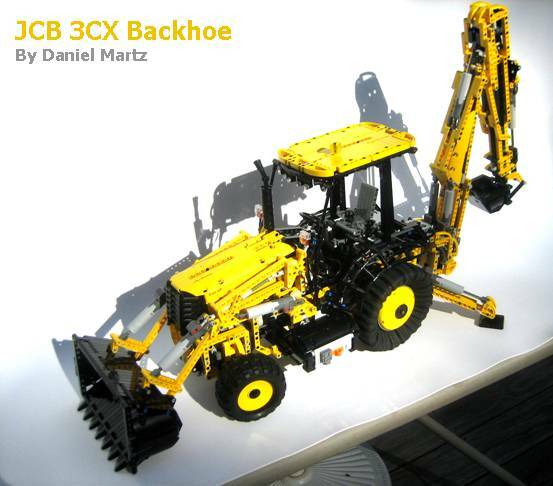 We have this backhoe loader in non motorized form and also the Mindstorms NXT set. Sorry if it is a daft question but can I use Mindstorms to somehow motorize my backhoe loader? Thanks - I feared that might be the case. I'll have to find somewhere else to put this Mindstorms fever to use! Have you installed LDraw yet?